Tzippy Goldman was born for marriage. She and her mother had always assumed she'd graduate high school, be set up with the right boy, and have a beautiful wedding with white lace and pareve vanilla cream frosting. But at twenty-two, Tzippy's fast approaching spinsterhood. She dreams of escape; instead, she leaves for a year in Jerusalem.There she meets - re-meets - Baruch, the son of her mother's college roommate. When Tzippy last saw him, his name was Bryan and he wore a Yankees-logo yarmulke. 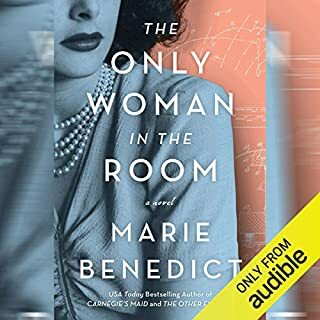 This audio book is absolutely incredible. The story which goes inside the lives of Hasidic Jewish families brings an onslaught of emotions. I didn't know that the holocaust reached into Romania, until I listened to this book. Then to learn that Hasidic Jews believe and teach that the atrocities that the Jewish people suffered during World War II by the evil Third Reich are somehow a punishment that they deserve . . . oh, my, it is so sad. Yet there is an order, an extreme love of family and tradition in these people that one cannot fail to see and appreciate. Josef's story is haunting and beautiful. And all through the book, I prayed that he would return to the brave Gentile maiden who rescued him and became his second mother, and who revealed to him the only mercy he had ever known in his life, the grace and love of Jesus Christ. This isn't a religious book. It's so much more. It's a book that makes one question things. It is sad, victorious, triumphant, and yet, you will end up, like we all do, knowing that we, human beings, alone, we are not enough. And we CAN NEVER BE GOOD ENOUGH. My heart broke every time that the Hasidic Jews chanted, Come my Messiah, come. They danced and sang. They punished themselves. They tried to keep a pure bloodline. Yet, all the while missing the gift that God send to them. Rejecting joy. Rejecting mercy. Josef's dreams of Jesus were haunting. This tale is beautifully written and the narration is just right. This book is a gem. It is not just a glimpse into life of the Satmar's hasidim, it is full of universal themes - belonging, love, honesty, devotion, interconnectedness of generations. It had a special meaning for me, because I am an immigrant, a Jew, and my grandparents and parents were Holocaust survivors. The pain of leaving one's country (despite persecution), losing loved ones, feeling like you don't belong, being rejected by your own family, by your own people is palpable in the book. Rosalyn Landor did a superb job, as always. If you are not familiar with Jewish history and Judaism, read about it. Hasidut is a movement in Judaism. To me, their beliefs seem closer to Christianity, with the emphasis on Salvation, Resurrection of the dead in the "world to come", Messiah coming any day,divine holiness of their rebbes who rule like kings.It is a lifestyle, and they are not holier then anyone else. Satmar Hasidim do not acknowledge the existence of the state of Israel. Hypocrisy of their Rebbe, who saved himself by boarding the "Zionist" train, while his community was sent to the ovens thanks to his silence speaks for itself. 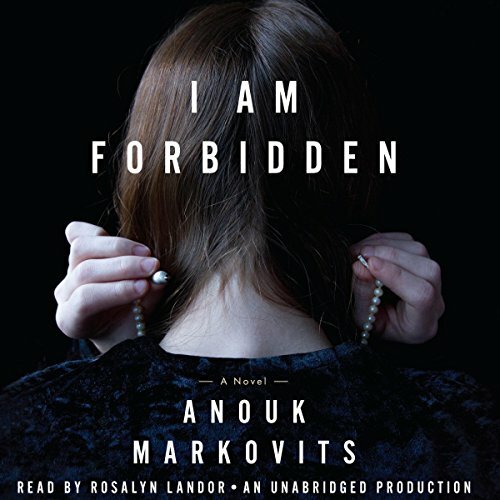 I Am Forbidden follows three-generations of a Hasidic Jewish family. Starting in Romania under the Iron Guard movement and finishing in the Satmar Hasidic community established in Williamsburg, New York. Hasidism is a strict religion rooted in the Torah. Their day-to-day lives are lived based on the interpretation of this book and everything is done in such a fashion to ensure that all family members in the same blood line have a place by the messiah's side. There are many activities deemed forbidden in Hasidism and if someone within the religion does something out of line with the laws of the religion, they become forbidden, unable to marry or have any sort of life within the religion. At the start of the story we are introduced to Josef, who was hiding when his family was killed by members of the Iron Guard, Romania's anti-Semitic death squad. He is found by the family's gentile housemaid and she takes him in as her own. 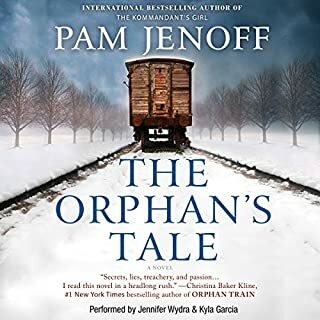 Five years after Josef rescue, he helps Mila, a young girl who has recently witnessed her family's death at the hand of the Iron Guard, escape from countryside by train. Later, Zalman Stern, a leader in the Satmar community learns of Josef, who is the only living son of a prominent family murdered by the Iron Guard and retrieves him from the woman who has taken him as her own son. Josef has a difficult time fitting back in to the Hasidic lifestyle after being taken in by the Stern family, who has previously taken in Mila, the girl Josef previously rescued. Mila proves to be a comfort to Josef while he tries to adjust to his changed life, but he is quickly sent away to live in the Satmar community in Williamsburg. 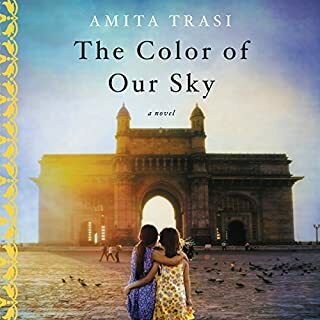 The years go by and Mila continues to live with the Stern family in Paris, being raised as a sister to their eldest daughter, Atara, while Josef is raised as a highly accomplished Torah scholar. Atara and Mila are close, but Atara gets a taste of books, which are forbidden. Although Mila is devoted to the religion, Atara decides she wants more from her life and she steals away in the middle of the night. Mila receives a marriage proposal from Josef in America. Mila is thrilled by the marriage proposal and leaves Paris to wed Josef. Josef and Mila are devoted to each other and I really got a strong sense of this while reading about their life together and through their attempts to have children. This is where the story gets bound up in this severe religion, which could be the demise of the bloodline and the families ability to go on to be with the Messiah. Mila eventually goes on to have Rachael, and she proves to be a devote to the religion as her father Josef. 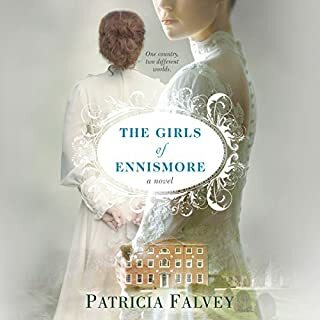 When Rachael's daughter, Judith, is old enough to wed, secrets are revealed that cause tragedy. Although I cannot imagine being involved in such a strict way of life, this story is presented in such a way that I felt I connected with the Satmar's way of life as if I was completely understanding of the reasoning. Although this is ultimately a sad story, there is beauty in the love and dedication these people have for their beliefs. Previous to this book, I had no knowledge of the Iron Guard. I had not previously realized that Romania, too, was involved in the Holocaust. 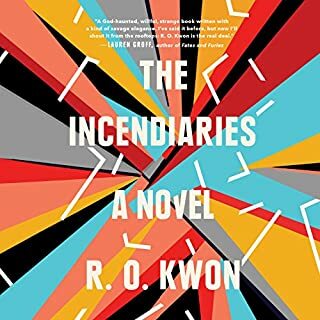 This story would have received a 5-star rating had it not been for the disjointedness I felt during a couple of periods where the author skipped through time very quickly. If you are interested in understanding more about Hasidism, this is an excellent choice. 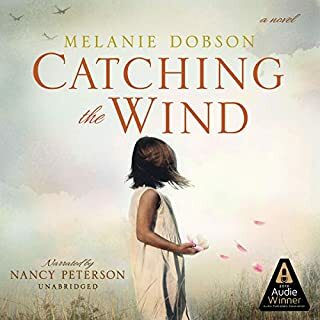 Where does I Am Forbidden rank among all the audiobooks you’ve listened to so far? This is my first and best so far! What other book might you compare I Am Forbidden to and why? Beloved, Told of a life of intensive love, it was a tradition of the heart with no formal dress. It was the mother usually that was the bearer of said heart that fronted a raw battle daily, every minute of that day, children, the strong belief dictated, were the primary hope for a better life when strict lackof judgements had faded the color barriers and the folks that held them.Then this general tradition would be no more and all can have their share of a good life as promised from heaven in the beginning. Some traditions grow strenght others are brought upon by others who are weaked by hatred and seek power upon the backs of others.Their always is the tradition will be violated by chains and walls of those that don't understand what chains are for and rather sing in groups.Where is the wrong in that. I must review it again after hearing for a second time, all of it is very warm I feel. If you could rename I Am Forbidden, what would you call it? Glad I spent the time, the reader is surprisingly great. although the book had interesting facts about how people in this Jewish community live and view other Jews and gentiles, it was very boring and at some times mundane. the women are very devout to their religion, husband and family, but also simplistic in their views and desires while the men consider themselves learned they are actually quite rigid and formal even when relaxing. To learn more about orthodoxy - pretty extreme. Certain facets not covered; like what they lived off of! Would you be willing to try another book from Anouk Markovits? Why or why not? Not sure why the British accent - and it's Bubbie and Zayde; not Bobby and Ziedie! Lots of language challenges in the book. Not bad considering that.